Ram Truck today unveiled the new 2011 Ram 1500 Express. The Ram 1500 Express -- originally announced Feb. 15, 2011 under the code name Adventurer -- is a new Ram Truck model aimed squarely at first-time buyers and owners who are looking for a vehicle with performance and style that they can customize and make their own. "We're excited about the addition of this new model to the Ram 1500 lineup," said Fred Diaz, Ram Truck President and CEO and Head of National Sales -- Chrysler Group LLC. "There's nothing that compares to the high-performance value represented by the Ram 1500 Express. Ram 1500 Express combines great looks and MPG along with HEMI horsepower, torque, towing and payload, all at a fantastic price. It gives the youth or first-time truck buyer an opportunity to show off a great looking ride, with unsurpassed V8 entry-level capability, in a tremendous value-priced package." Plans to launch the new Ram 1500 Express were pulled ahead after company executives saw a groundswell of support for the then-just-announced Ram Tradesman. The Ram Tradesman -- unveiled Feb. 9, 2011 at the Chicago Auto Show -- is a value-priced, HEMI-powered Ram 1500 regular cab truck that appeals to a cost-conscious, new-vehicle buyer who doesn't want to give up performance and capability. The new Ram 1500 Express -- like the Ram Tradesman -- offers buyers a standard HEMI V8 engine with a 20 mpg rating for the same price competitors are charging for their V6 engines. Mopar has announced that it will have hundreds of accessories available for buyers who are looking to personalize their Ram 1500 Express. "Given that the Ram 1500 Express is an aggressively priced truck, owners will have plenty left over to personalize and customize their ride," said Pietro Gorlier, President and CEO of Mopar, Chrysler Group's service, parts and customer-care brand. "For this truck, Mopar will offer more than 300 quality-tested accessories from which to choose." 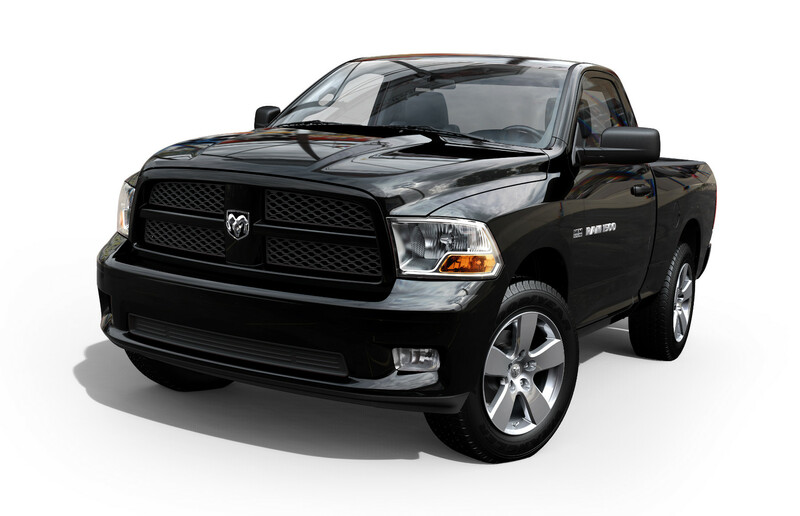 In addition to the 5.7-liter HEMI V8 engine with 390 horsepower and 407 lb.-ft. of torque, Ram 1500 Express comes loaded with features that emphasize its high-performance character. The first thing drivers will notice is the Ram 1500 Express' racy, monochromatic paint scheme. A body-colored grille with black honeycomb inserts, body-colored front fascia and body-colored rear fascia with chrome-tipped dual exhausts shout "high-performance". The new Ram model will also get fog lamps and 20-inch aluminum wheels with locking lug nuts. There's also a locking tailgate, cargo lamp, rear-bumper step pad, 6" x 9" side-view mirrors and rear wheel-well liners. Buyers can choose their own options. In addition to a Class IV receiver hitch, Ram 1500 Express is available with long list of options. There's also choice of two optional rear-axle ratios (3.21, 3.92), anti-spin differential, engine block heater and trailer brake controller. 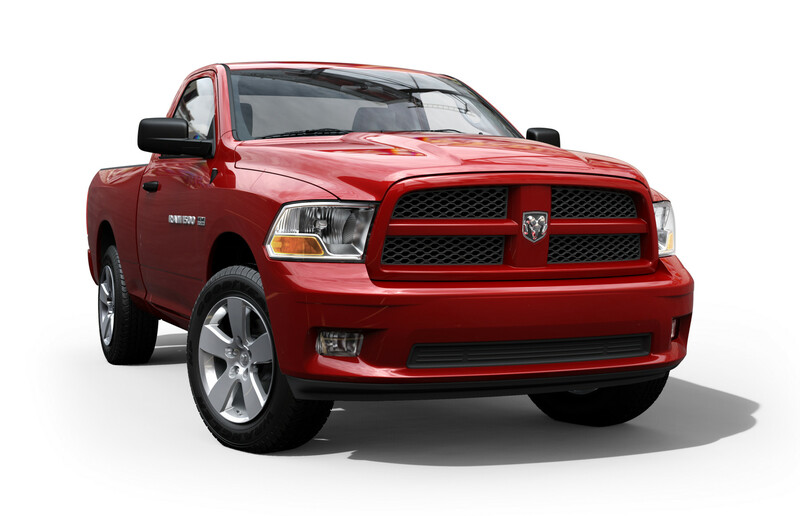 Ram 1500 Express comes as a regular cab, short-bed model, with a choice of 4x2 or 4x4 drivetrain. 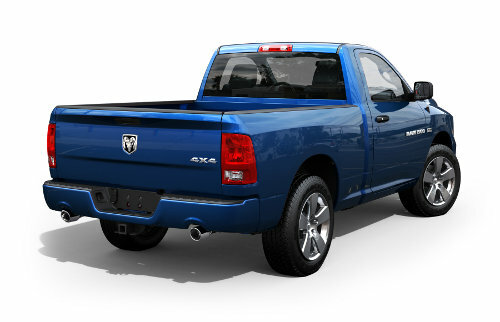 When equipped with an optional Class IV hitch, the new Ram 1500 Express will tow a maximum trailer weight of 10,450 lbs. Manufacturer's Suggested Retail Price for the new Ram 1500 Express will start at $23,830, including $975 destination charge. It will arrive in Ram Truck dealerships in second quarter 2011. The Ram Truck brand continues to establish its own identity and clearly define its customer since its launch as the newest Chrysler Group LLC vehicle brand. Creating a stand-alone brand for Ram trucks has allowed us to concentrate on how our core customers are using their trucks and what new features they'd like to see. Whether focusing on a family that uses its half-ton truck day in and day out, a hard-working Ram Heavy Duty owner or a business that depends on its commercial vehicles every day, Ram has the truck market covered. Standard six-speed manual transmission on all diesel models.